Buying locally is often a lot more ethical and ‘green’ than buying from commercial supermarkets or chains. When you shop at a local butcher, farm shop, bakers or green grocers, it is likely that a high percentage of the produce has had a short ‘field-to-fork’ (or in our case ‘field-to-bottle’) journey meaning less transportation is required and therefore a much lower adverse impact on the environment. Reason 2 – It’s Tastier and Better For You! Buying locally usually means the produce will contain more nutrients – no nasty preservatives or BBE dates in 2030! The shorter the time between the farm and your plate the more nutrients it will hold. Buying local is a lot fresher, tastier and more environmentally friendly. Reason 3 – Your Spending Could Help Boost the Local Economy. Eating Locally means more money stays within your community. Research on spending has shown that for every £1 spent with a smaller or medium-sized business 63p stayed in the local economy, compared to 40p with larger businesses. Also, recent research has shown that a town with many thriving independent businesses is more likely to see higher house prices locally. Staying engaged with local businesses means a greater sense of community. 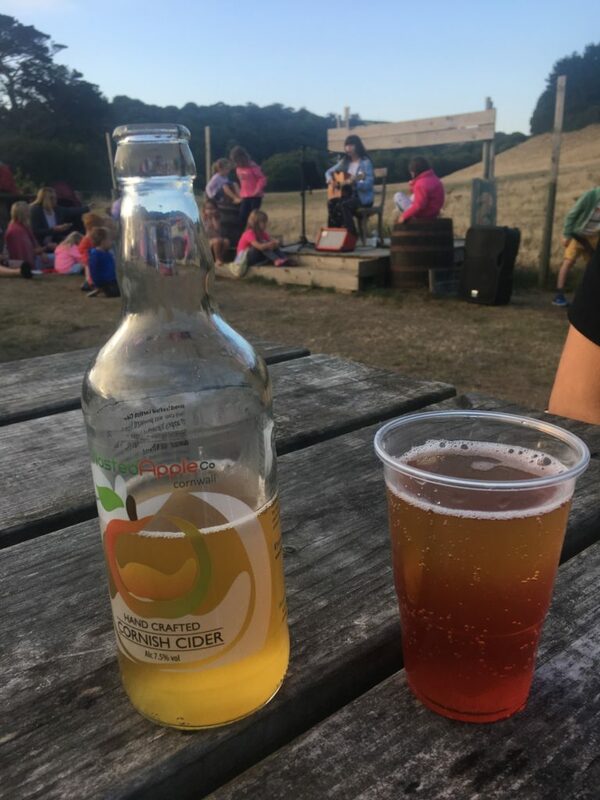 Like many other local businesses, here at Wasted Apple we have our very own community of hard-working volunteers that help pick, press and produce our hand-crafted cider. We also like to give back and say thanks to all those that have let us come to their orchards to rescue their unwanted or unused apples. For anyone in Cornwall who has an abundance of apples that would otherwise go to waste we will happily take these off your hands to turn them into delicious cider or Apple juice and we’ll give you some back in return. Check out our Facebook community here! Reason 5 – You can try before you buy. Major retailers have the advantage of economies of scale and can afford to cut prices and offer low prices. However, it’s easy to spend money on products you end up not actually liking. Unfortunately, you can’t crack open a bottle of wine in the supermarket for a quick taste test and neither can you do this when buying produce online. 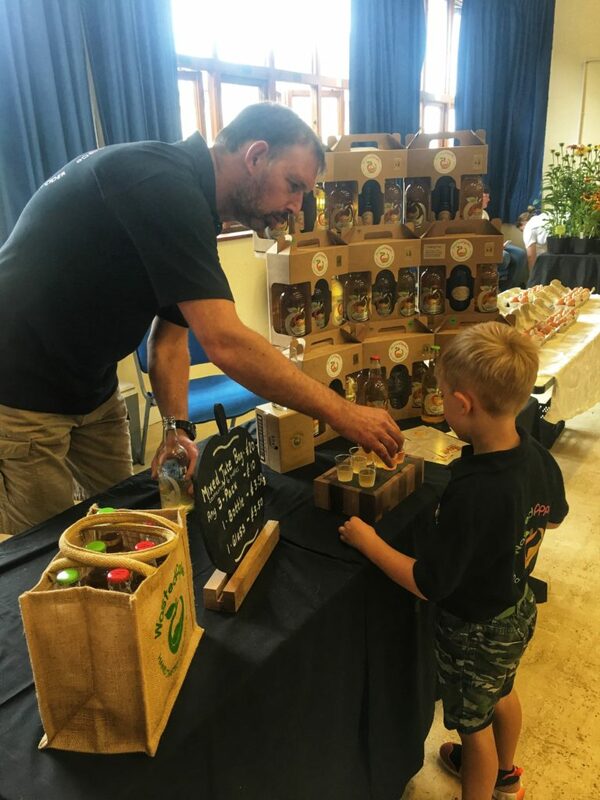 However, whether you come to one of our stall markets or come to our very own micro-brewery you will always be more than welcome to sample all our products, ensuring you receive a product that you know you’ll love! Startup businesses are often born from people’s passions and creative ideas, meaning when you buy locally, you’re engaging in a time-honored connection between consumer and creator. The knowledge, passion and genuine interest in the product is so much greater when you buy directly from the person who has spent time and energy producing it. Each bottle of our cider or apple juice has been handmade and cared for by us. We will happily share with the journey the apple took from tree to bottle! This is particularly true for our Cider and Apple Juice. 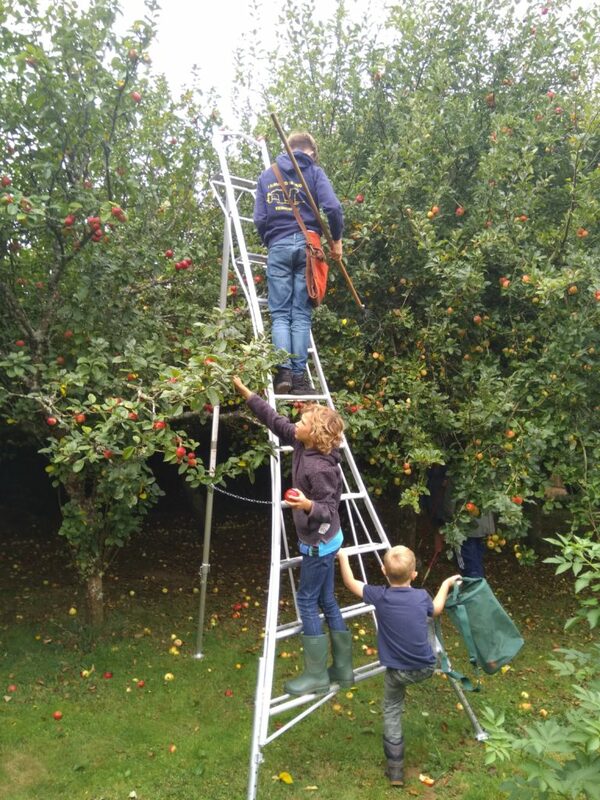 You can happily enjoy all our produce knowing all of the apples used are hand lovingly picked from orchards in Cornwall. Indeed, we can even identify from which orchards a particular batch of cider or juice originates, and we think that this is very important. As a nation we are becoming more and more divorced from the origin of our food, the supermarkets being crammed with readymade processed products, and we believe that this has many potential detrimental implications (which we will revisit in detail in a further blog). 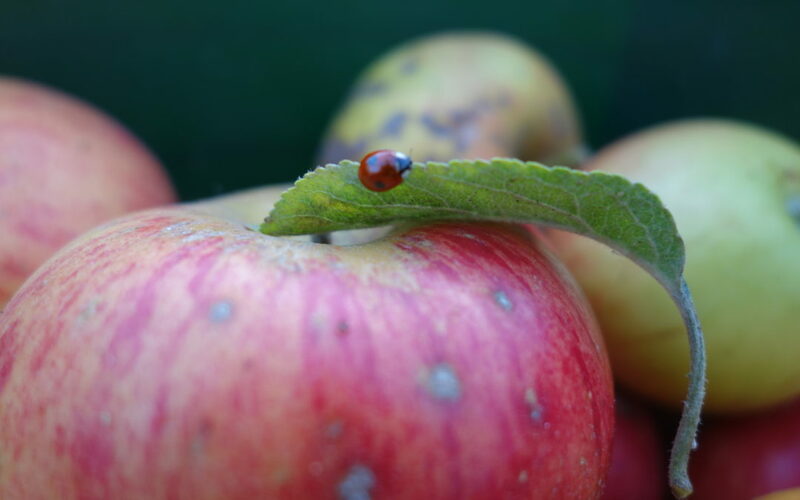 Although we cannot claim to be certified organic we can assure you that the apples we pick are as nature intended.